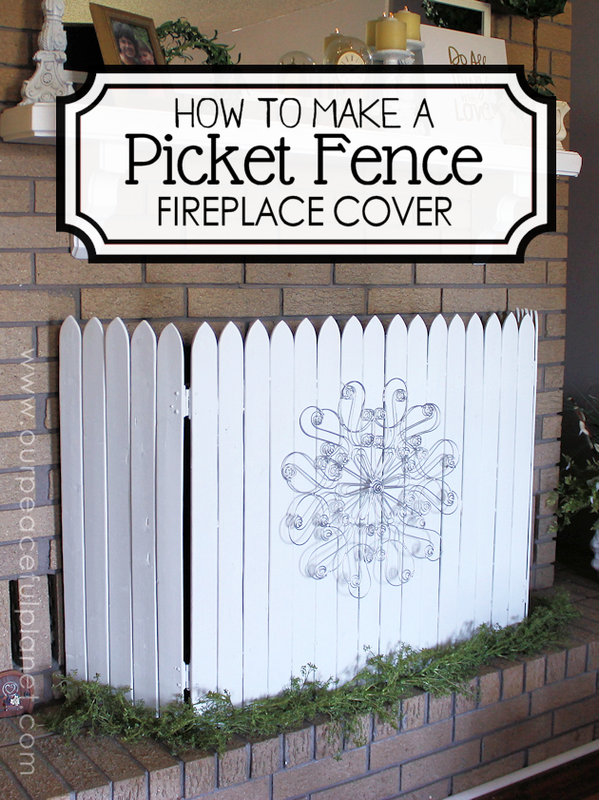 Add some whimsy to your home with this simple picket fence fireplace cover. It’s made from wood slats that you can make yourself or buy already cut into pickets. Add some hinges and paint and you can decorate it in a variety of ways for any season. You can buy one ready made but this one only cost us $16 to make. For a full fireplace makeover we also repainted our mantle to match. Want more fireplace makeover ideas? Check out our post on How to Paint a Fireplace. It’s amazing! Thanks so much for sharing this post at the Friday Favorites party last week. It was chosen as one of the features! http://aheartfulloflove.com/friday-favorites-week-314/ I hope you will come back and party with us again this week. Thanks you So much Jen. I really appreciate that. You bet I’ll be back. Thanks so much for the work you do! Great job and perfect for spring! thanks for sharing on craft schooling sunday! Looks great, a perfect way to cover a plain fire when it’s not in use.